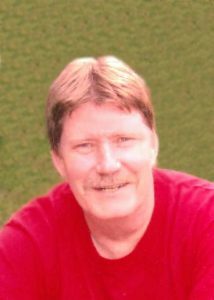 Norman Olson, 66, of Clarkson, died Friday, May 18, 2018, at CHI Bergan Medical Center in Omaha. Funeral Service Tuesday, May 22, 2018 10:30 A.M.
Norman was born June 8 1951, in Columbus, Nebraska, to Victor and Ruth (Grotelueschen) Olson. He graduated from Leigh High School in 1969. He had worked in the Kearney area for Ayers Clothing and spent most of his life in the Leigh and Columbus, area. In Columbus he worked for Nauenburg Construction, Fleischer Manufacturing and Eller Heating & Air Conditioning. Norman had spent the last 15 years of his life at the Clarkson Nursing Home and was known to be very helpful to the other residents and staff. He enjoyed spending time with family, visiting and playing cards. He was a member of Zion Lutheran Church in Leigh. He is survived by three brothers; Vic Olson of Columbus, Rueben (Cheryl) Olson of Omaha, Merlin (LuJean) Olson of Castle Rock, Colorado, brother-in-law, Wallace Wendt, Leigh, and several nieces and nephews.